NFL betting can be a daunting task. Sure, there are teams like the New England Patriots who are proven winners and usual favorites when it comes to wagering. There are teams like the Cleveland Browns, who you can always bet against. Then you have teams like the Philadelphia Eagles, Jacksonville Jaguars, Buffalo Bills and Tennessee Titans. You would never expect these 4 teams to be in postseason contention, yet all 4 made it. The Eagles are in Super Bowl LII against New England. As things stand now, the Pats are 5-point favorites to win the game, but the SportsLine game simulator is outputting some interesting situations. SportsLine is a computer simulator that runs sporting events to determine possible outcomes. This year, the SportsLine model went 74-22 in terms of projected bets hitting. In only its second year, SportsLine has beat NFLPickWatch analysis again. Its overall NFL record is 183-33, showcasing a trend of predicting the future. To give you some recent insight, SportsLine predicted the Eagles upsetting the Vikings and also nailed the Patriots-Jaguars under bet. In this postseason, the model has accurately predicted an upset in each round. When Super Bowl LII was determined to be Patriots-Eagles as the Conference Championships, SportsLine went to work. It ran the game 10,000 times and has come up with scenarios worth noting if you are interested in placing a bet. SportsLine is a fan of the under bet. The current total score is projected to be 48. SportsLine’s projections had the under hitting 60% of the time. If you look at both teams, you will see why this is enticing. Both New England and Philadelphia feature stout defenses that performed well throughout the year and into the Playoffs. The Patriots finished fifth in total points allowed (home and away) with an average of 18.5. The Eagles finished fourth with an average of 18.4. If things stick to this narrative, the SportsLine prediction seems more and more plausible. Bettors should also consider the fact that Patriots TE Rob Gronkowski may not play due to a concussion and the Eagles are without QB Carson Wentz, their offensive playmaker. These 2 teams played each other in the 2005 Super Bowl, the last time the Eagles were in this position. The game finished 24-21 and went to the Patriots. This score line hits the under for this year’s Super Bowl and there is a strong chance it will happen again. Most analysts and sports media talking heads do not predict this game to be a blowout. The Patriots narrowly escaped Jacksonville and the Eagles will be up against much better competition than the Vikings. 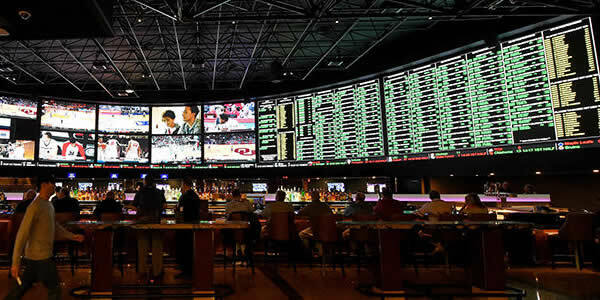 If you are interested in legal Super Bowl betting, the SportsLine model has a proven track record of being right. Still, there are instances when it has been wrong, but any avid bettor will tell you to follow the statistics. If this game is as gritty and back-and-forth as its expected to be, you can bet on a low-scoring Super Bowl that is more a defensive showcase than anything else.